Sunshine Griffith can communicate with ghosts. Even more amazing, she recently discovered—with the help of her would-be boyfriend, Nolan—that she’s a luiseach, one of an ancient race of creatures who have lived among humans for centuries, protecting them from dark spirits and helping them move on to the afterlife. Now, Sunshine’s powers are awakening and she feels spirits everywhere—intense and sometimes overwhelming. Eager to get her supernatural abilities under control, Sunshine agrees to begin training with her mentor, her estranged father Aidan. 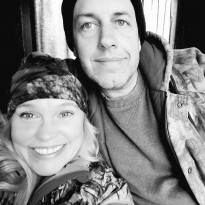 He takes her to an abandoned compound deep in the Mexican jungle. But what she learns there about her powers, and her family history, turns out to be more terrifying than Sunshine could have imagined. Can anything—Aidan’s experiments, her friendship with another luiseach named Lucio, even Nolan’s research—prepare Sunshine to face the frightening woman who haunts her dreams, and to finally learn the truth about the rift that threatens the future of the luiseach and all of humankind? 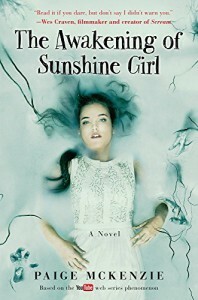 The stakes grow ever higher in this sequel to The Haunting of Sunshine Girl, revealing that Sunshine has to protect more than her own friends and family—she may be the key to saving the entire human race. I give this book a 3 out of 5 stars. I enjoyed the first book in this trilogy so I had to keep reading to see what happens next. The author grabs you in the first book and make you want more. 16 year old Sunshine is a girl like no other. She has a gift and with her father’s help she is learning how it use it. Lots of twists and turns in this book. You will find love, sadness, spirits, and a mother that wants to kill you buried in these pages. You will find that the first part of this book is slow but keep going it gets better. The ending will make you want more. If you liked the first book give this one a try.